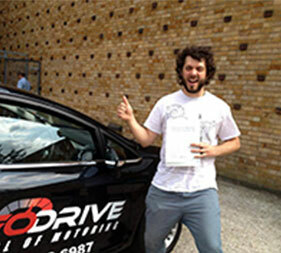 I'm so happy I chose this driving school over others because they were just wonderful. 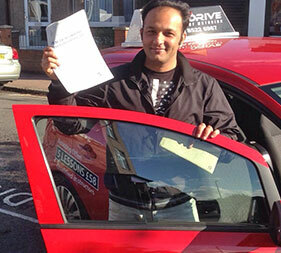 I passed my driving test first time and completed my training lot sooner than I thought. 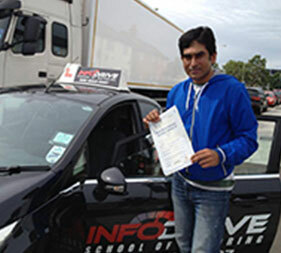 My instructor Mafi was fantastic, all credit to you. 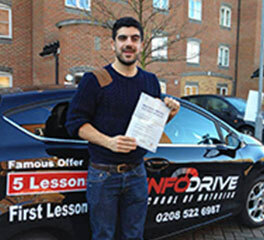 ''Top driving instructor(Mr Plamen) very calm, reliable, patient trustworthy and brilliant Made me relaxed and explained very well and trained me to pass. 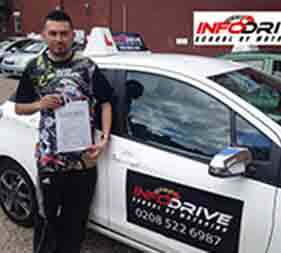 He is very dedicated not doing it for money only I highly recommend Infodrive especially mr Plamen if you are looking for a dedicated company to pass your driving test Many thanks for training me to pass''. 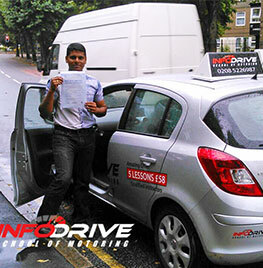 A truly professional service, I have enjoyed all lessons, I like to thank them from bottom of my heart. I told everyone I'm gonna pass my test today and they laughed, I passed first time so I'm just gonna rub it in their face. Thanks infodrive. 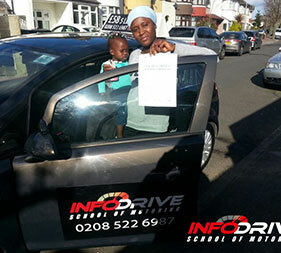 Just wanted to say a massive THANKS to Infodrive for helping me pass my test today. 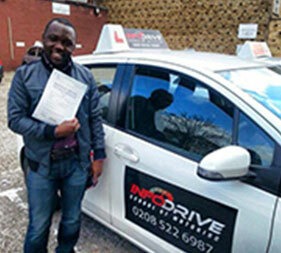 My instructor was knowledgeable, patient and friendly throughout (even when I did the same mistake 5 times). If you're interested in taking up some lessons and have landed on this page, you've come to the right place. I liked to thank you people from the bottom of my heart, you are wonderful. I was having so many issues with my previous instructor. 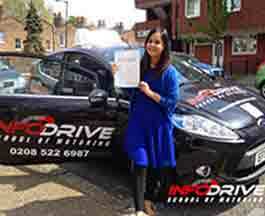 But when I came to infodrive driving school things were very good. 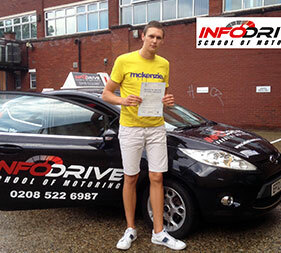 My instructor Mez is a very special person, I will think of you every time I drive. 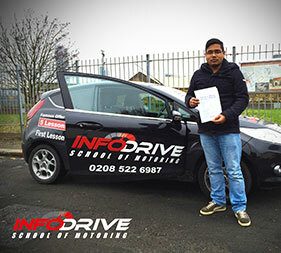 I passed first time, I'm very happy. 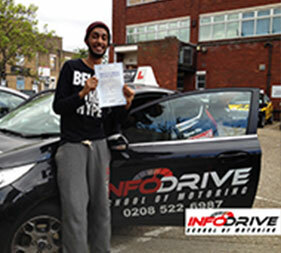 I was very worried and nervous, I did not think I can pass first time. But my instructor is just too good, thank you man. 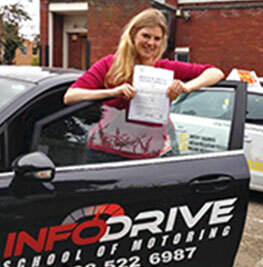 Fantastic driving school, I highly recommend them. I have taken lessons with others but this is the best I found. 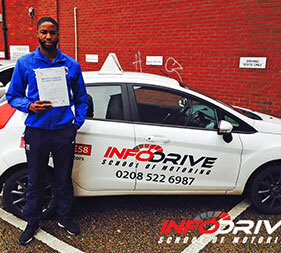 They have been very professional throughout the whole of my training process, my confidence levels were very high before the test which enabled me to pass first time. Thank you very much for your wonderful service. My sincere thanks to my instructor Nas for teaching me. 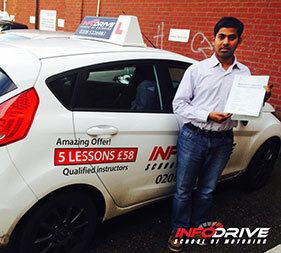 You are one fantastic driving instructor and I hope you teach and help people pass their test for a very long time. 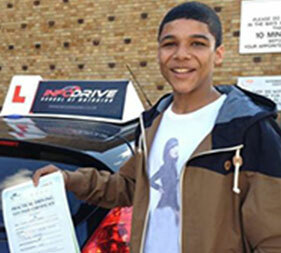 I can drive confidently with my family in the car knowing that I was taught well. 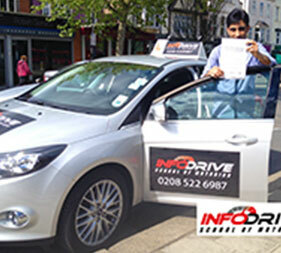 I have tried big brand name driving school and they did me no good, after booking with infodrive I saw the difference. I was amazed at how many things I did not know and still had to learn. My other instructor told me I was ready for the test, I would have failed for sure if I did not change to this school. 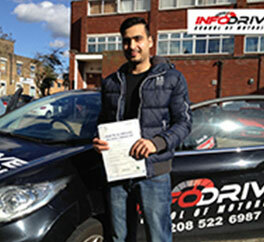 I PASS my driving test today through (InfoDrive) in Goodmayes!. 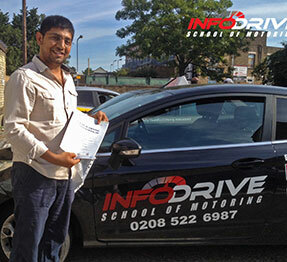 Thanks to my driving instructor and infoDrive for fantastic instruction & guidance. 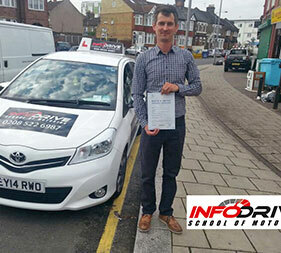 Thank you very much for your training, I'm very pleased with the service and the quality of the lessons. 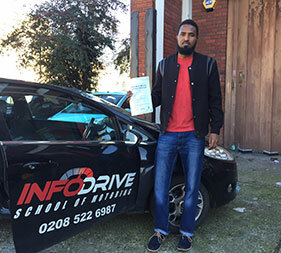 I passed on first go and this is because of good quality training. I will be recommending you to others.